The LumiView™ Fiber Optic Retractor System converts traditionally hot Xenon, Halogen light into cool, directional, uniform illumination. LumiView™ combines high intensity molded lighting technology with superior directional light output. The LumiView™ retractor incorporates a unique quick-change blade design allowing for multiple blades to be used with one light guide handle. The single-use light panels deliver uniform, cool lighting, even into the most difficult areas. A variety of blades and light panels, used with one retractor handle, provides economy and diversity for a wide range of procedures. A compact, efficient, durable “daylight” light, with a typical LED life of greater than 50,000 hours. 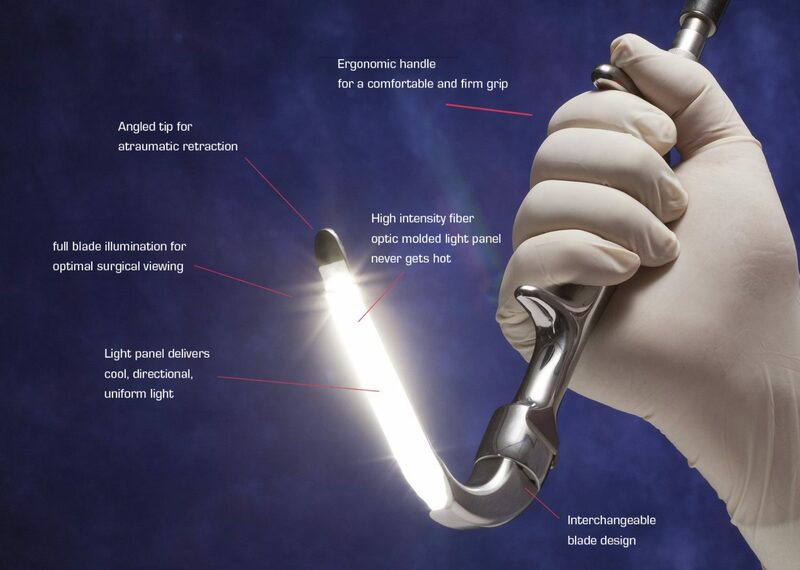 Provides superior illumination for unparalleled visualization of the surgical field. A field replaceable xenon bulb reduces unwanted downtime and maintenance delays. Cables are steam-autoclavable and feature clear, silicone housing for easy viewing of the fiber optic strands.